In the heart of the Caribbean, the Dominican Republic is a mere 8-hour flight from Gatwick, but it felt like another planet arriving from chilly London. This Caribbean island offers everything from tropical rainforests to arid deserts and of course, total beach paradise. Whether your thing is trekking, water-sporting, visiting beautiful colonial architecture (of which the capital Santa Domingo has plenty), or simply relaxing by the beach, there is much to keep you entertained for a good few weeks there. I also hear that the small quaint villages and mountain retreats of Jarabacoa and Constanza are well worth a visit if you have more time. All-Inclusive Hotels – What Are Your Thoughts? I don’t know how you feel about all-inclusive hotels - in my experience, they can vary from excellent to pretty mediocre. These mixed feelings stem from fantastic experiences in Mexico and Peru (reviewed here and here) as well as catastrophic ones like our stay in Cuba (reviewed here). The biggest attraction of all-inclusives can also be their Achilles heel. While its lovely to spend 24 hours a day being wined and dined without lifting a finger, this indulgence also provides a disincentive to many from getting out and about to explore the sites and culture and meet the locals, which after all is surely the whole point of travelling. But it doesn’t have to be this way, as any good all-inclusive hotel will offer a range of day trips and other activities outside of the hotel, some even included in the daily rate. Whatever we might think about all-inclusives, sometimes I just want to relax and do nothing else - so for a week or two of total bliss by a gorgeous pool or at a private beach, catching up with my much-needed reading, I can’t think of anything better than checking myself into one of the finer examples of these places. So a recent press trip to Punta Cana in the Dominican Republic saw me at the all-inclusive Iberostar Grand Hotel Bávaro. One of the jewels in the crown of the Spanish family-owned Iberostar Grand Collection, the hotel is a 5-star and adults-only resort. There are 272 suites in the hotel, all with direct access to or views of the seaside or the gardens. My room was one of these elegant suites, in tones of beige and white, with plenty of natural light and with a balcony overlooking the gardens. The room was very spacious with a terrifically comfortable king-sized bed, a marble jacuzzi bath, and wonderful views. Throw in a proper coffee machine (no kettles in sight of course), a generous all-inclusive mini-bar and free Wi-Fi, and I was equally happy in the room as I was at the poolside. The hotel is designed in a ‘U’ shape overlooking the sea, and within the grounds there are some impressive and beautifully-tended gardens, a huge artificial lake and a moored wooden ship. The swimming pools are set amid the lush gardens, surrounded by huge palm trees – it is an idyllic spot. I must admit I spent most of my week here at the poolside, drinking Coco-Loco cocktails (coconut milk, rum with tons of sugar), and toasting like a lizard in the sun. It was just a week before I started a whole season of supper club events, and this time really helped recharge my batteries for the hard work that was to come. If, unlike me, you are one of those people who cannot lie still for more than a few minutes, and the idea of being on a sun lounger at the poolside fills you with dread, there are plenty of other activities to do in or outside the hotel. There is a well-equipped gym and spa, and various scheduled activities including tai-chi, beach volleyball, dance classes, ping-pong, tennis and water polo. The hotel also has a magnificent 18-hole golf course. Day trips can also be arranged by the concierge, and I went on a couple of these including a visit to a local cenote, and another at an aquamarine park where we had the opportunity to swim with dolphins. I also discovered, sadly late in my stay, that an all-day trip to the capital Santo Domingo is also offered by the hotel, although by the time I found this out it was too late for me to reserve a spot. Santo Domingo is only a couple of hours’ drive from the hotel, and the trip will take you to museums and historical places in the town, as well as a restaurant that serves typical Dominican food. I learned about this from other guests who recommended it highly. Unlike many other all-inclusive hotels, Iberostar has a strong focus on gastronomy, culminating with a year-long IberostarChef on Tour campaign but more on that later. At any one time, the hotel has four à la carte restaurants, where reservations are required, open for dinner and catering from Italian and French to American and even Japanese cuisines. But for me, it was the simpler beachfront buffet restaurant La Perla, serving a generous selection of fresh salads, grilled lobster, seafood and meats, which really captured the great produce and cooking of the island. I had most of my lunches here. 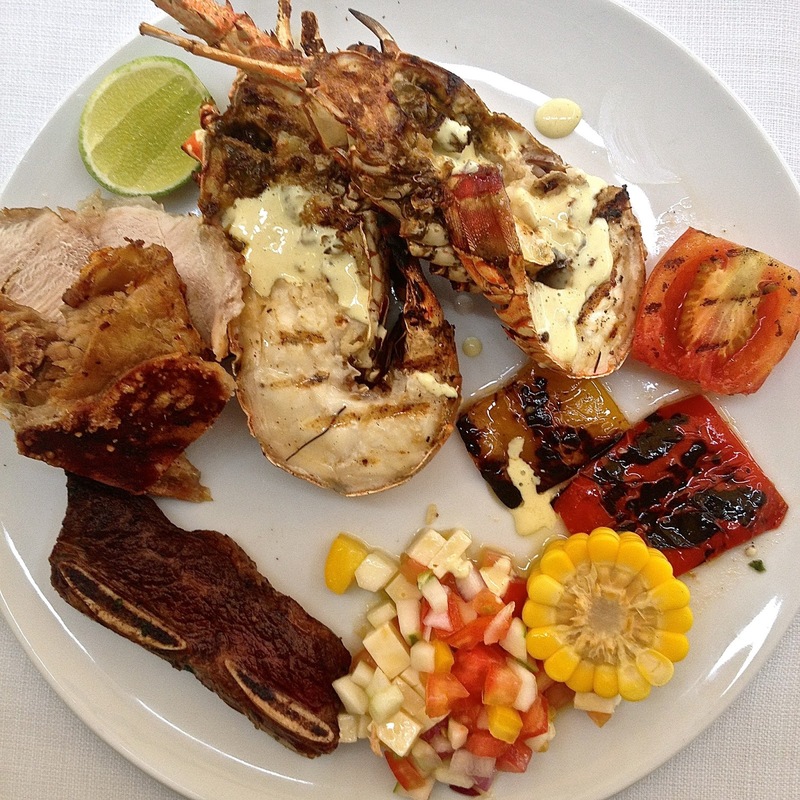 A typical lunch at La Perla - grilled lobster, pork with crackling, beef short ribs & salads! In addition to these, the Bella Vista international buffet restaurant offers breakfast, lunch and dinner to all residents without prior booking. Though it serves mainly international dishes, each evening the buffet has a particular theme such as Dominican or Italian cuisines, Fish & Seafood, etc. Cocktails, wines and digestifs are all included in the daily rate, with some special bottles being offered at extra cost. My favourite meal of the day was without a doubt the breakfast at Bella Vista – what an incredible array of delectable foods ranging from churros, to a huge variety of cold meats including hand-carved Serrano ham, cheeses, sweet tropical fruits, fresh and toasted sandwiches, you name it! Fantastic breakfast buffet with about 20 different types of pork to choose from, heaven! 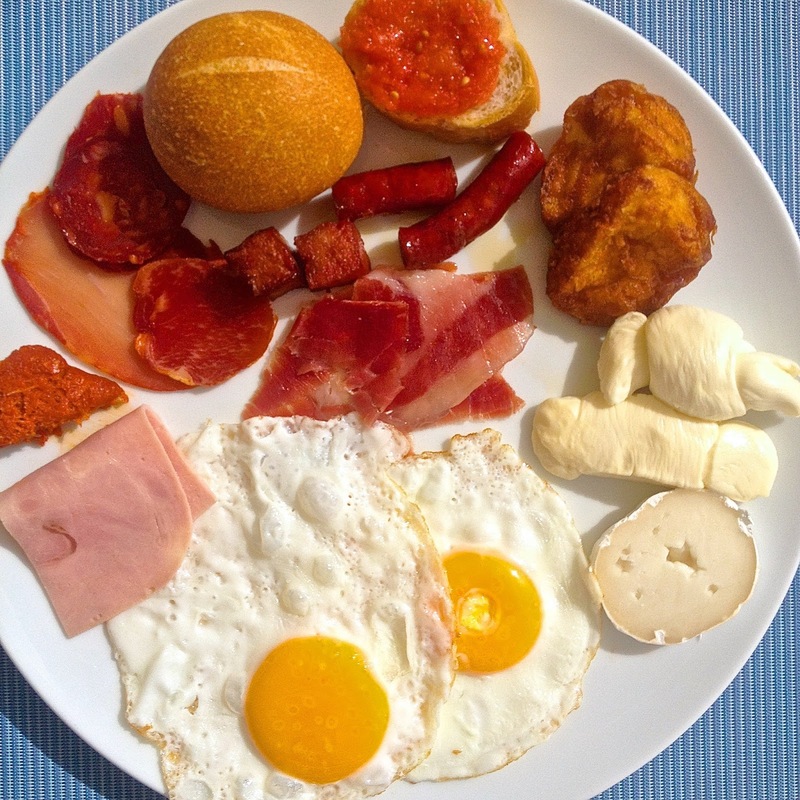 As much as I feel I should be having plenty of fruit and cereals at breakfast, at Iberostar I always ended up with 4 or 5 different types of pork, fried eggs and cheese. But how could I have resisted all that pork? I loved what I thought was Calabrian Nduja every morning but learnt that it was actually Mallorcan ‘Sobrassada’, a mixture of left over pork made into a delicious paprika-laden spreadable sausage. Other breakfast highlights were the deep-fried churros coated in sugar and topped with a thick chocolate sauce, and the super-refreshing and tart passion fruit juice (yes, I finally made it to the fresh fruit station!). 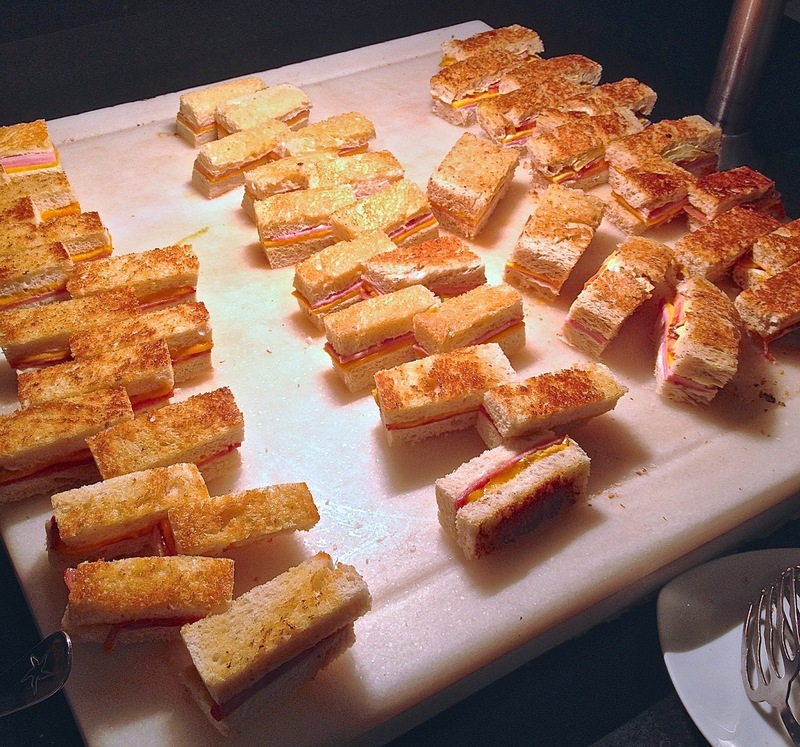 It was hard to tear myself away from the toastie station where freshly made ham, cheese and tomato toasts as well as French toasts (coated in egg and fried) were being dished up. Can anyone resist, hot, buttery toasties? I certainly couldn’t. Probably my favourite breakfast station in the entire hotel - hot toasties! Of the four à la carte restaurants, I visited two. The El Galeón Surf and Turf restaurant serves meat and seafood or, as the name suggests, a combination of the two. Better still was the Italian restaurant La Tentazione – where I enjoyed a gorgeously creamy pumpkin risotto among other dishes. I had the opportunity to go behind the scenes in one of the hotel's busy kitchens and meet some of the chefs. Ivan, Rafael and Gladis were particularly welcoming and I even got to learn how to make a typical Dominican dish. Thank you so much Ivan! 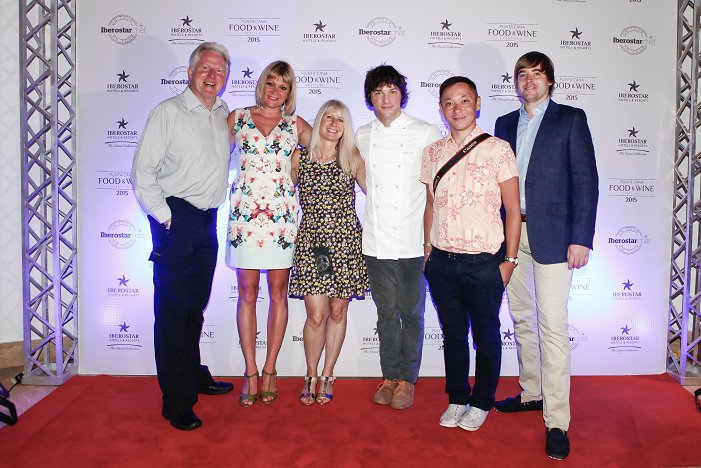 But the reason for our press trip was to report on the IberostarChef on Tour campaign. This gastronomic initiative by Iberostar aimed to export, through a number of dinners, the haute cuisine of Spain via 16 prestigious chefs (who together hold more than 20 Michelin stars) to its hotels’ residents in the Caribbean and Spain. We were lucky enough to be at the Iberostar Grand Hotel Bávaro for the residency of Jordi Cruz and to meet the man himself. The second youngest chef in the world to gain a Michelin star (he now has four), he has three restaurants in Barcelona – AbaC, L’Angle and Ten’s Barcelona. 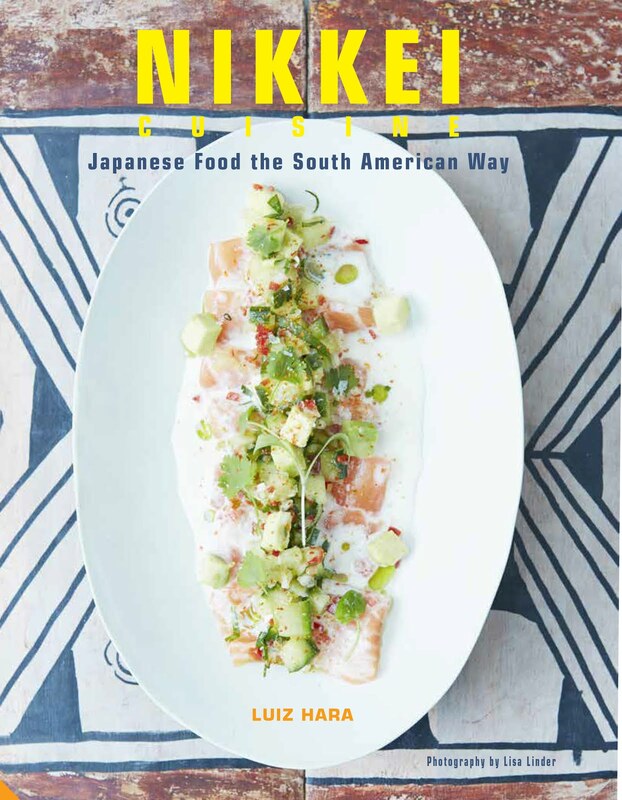 He offers Spanish avant-garde cuisine, and is particularly passionate about cooking sous-vide, a subject about which he has written extensively. Needless to say, the meal was spectacular, and a real show of Jordi Cruz’ technical skills. I loved his Bloody Mary on the Rocks, served with Bloody Mary foam and seafood. The Bloody Mary was made from tomato water rather than juice, obtained in a lengthy process by squeezing a huge quantity of tomatoes to extract their intensely-flavoured, clear water. The Parmesan gnocchi with wild mushrooms were also interesting – here Jordi Cruz created creamy little balls of Parmesan through a process of spherification. The “gnocchi” balls burst in the mouth, releasing a delicious cream of Parmesan onto the tongue. The beef fillet with foie gras and vanilla garlic confit was another highlight. Rich, perfectly cooked and full of flavour, this was served with a magnificent red wine reduction. 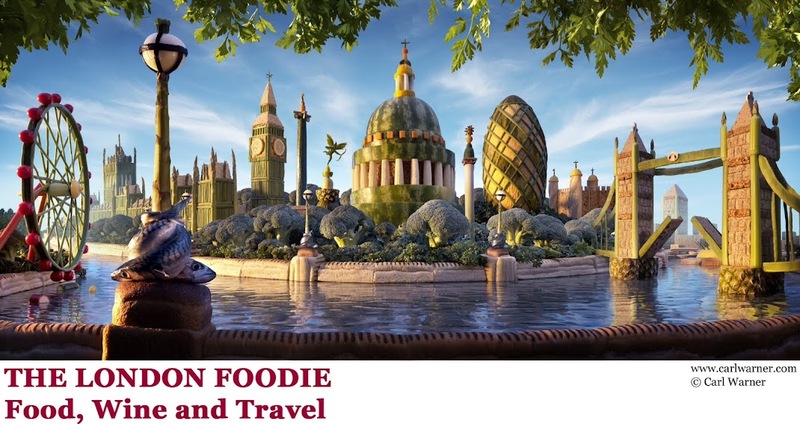 The IberostarChef on Tour campaign ran until October 2015, but if you plan a trip to an Iberostar property, do check out their website for any gastronomic experiences. If my trip was anything to go by, I would highly recommend attending one of these dinners during your stay. 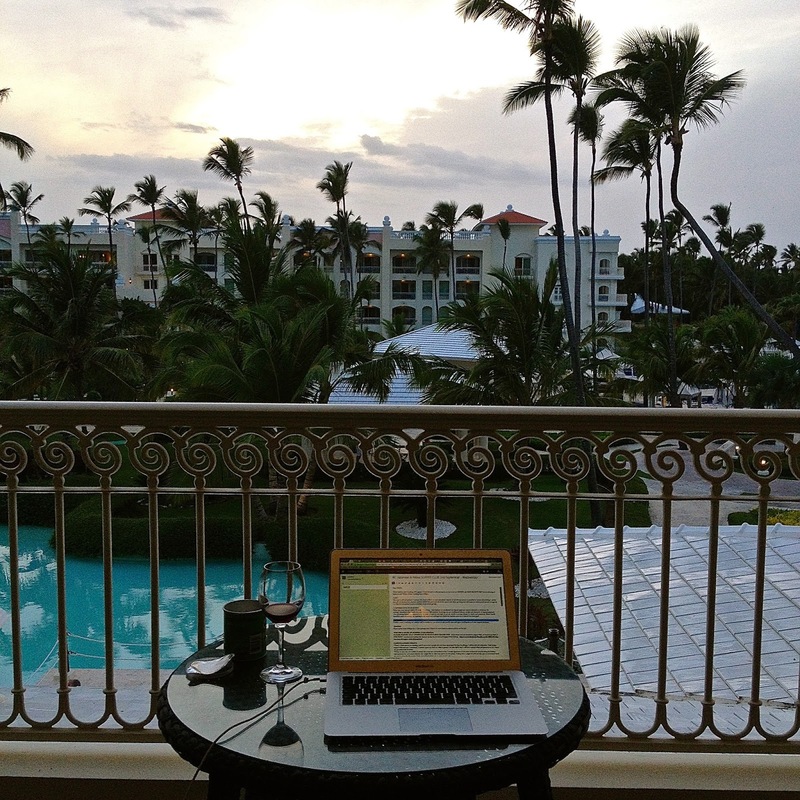 My stay at the Iberostar Grand Hotel Bávaro was the best all-inclusive experience I have had to date. This is an elegant hotel, with super friendly staff, delicious food and I would love to return to it one day. Adios Dominican Republic, but I will be back! What are your experiences with all-inclusive hotels around the world? Have you had any great or not-so-great experiences you would like to share? I would love to hear from you. Bavaro, Higuey - Dominican Rep. I flew direct from Gatwick with British Airways, flights cost around £600-£800 per person in economy class. With thanks to Iberostar Hotels for their hospitality and for introducing me to the beauty of the Dominican Republic. I highly recommend it, particularly Iberostar as they have a strong focus on gastronomy. Let me know!